Candidate of Philology, senior Lecturer. In 1992 she successfully finished Kargil behalf Buketova. 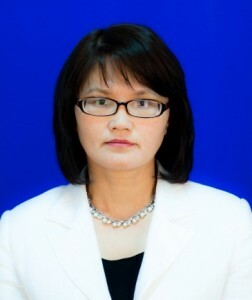 She has worked in KarGTU from 1992, defended her thesis in ENU. LN Gumilev, published a lot of scientific articles. She is an author of many textbooks, electronic textbooks and guidelines. Also she is known to be the Member of the Committee on University Language Policy. More than that, she has Honorable mentions and thankful letters from Karaganda’s rectorate and administration, from Languages ​​Development Administration of Karaganda. There are a lot of students, who won prizes in the city, regional, national competitions under the management of Nygmetova.